Though these policies are in part motivated by the government’s need to reduce its share of total health care spending, they are also driven by the expectation that they will lead consumers to use higher-value, lower-cost medical services. In my recent research with Zarek Brot-Goldberg, Amitabh Chandra, and Jon Kolstad, we dug into the mechanisms for how and why consumers reduce medical spending when faced with higher cost sharing. During the switch, the in-network providers that consumers could access and the services covered remained the same. As a result, this switch presented an excellent opportunity to assess in detail how consumers respond to markedly increased cost sharing. Primarily, we wanted to know whether employees would reduce their medical spending because of the change and, if so, by how much. Further, we hoped to learn where specifically they’d cut back. 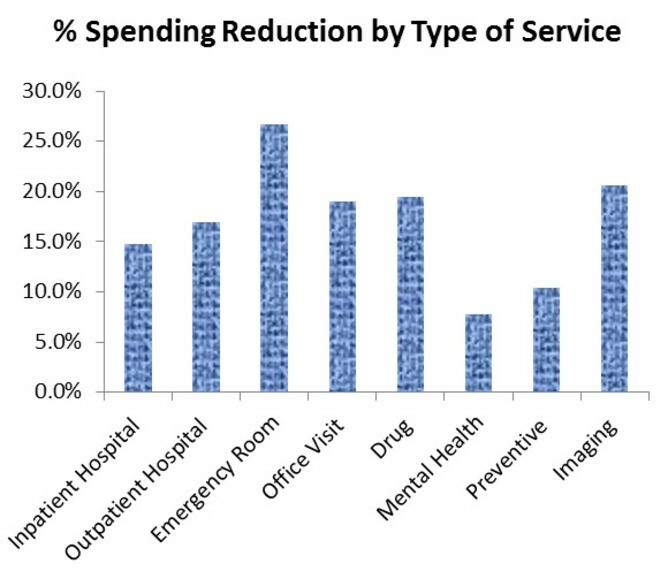 Would they spend less on nonessential services or reduce spending across the board? Would they try to find cheaper sources of health care? Do some employees cut more than others? Do employees correctly perceive the true marginal price of care in a complex insurance contract? We first established that increased cost sharing does reduce medical spending at the firm. Age- and inflation-adjusted medical spending dropped by 19% – from a base of approximately US$750 million in spending – when employees switched to high-deductible coverage. Importantly, it did not seem like consumers were particularly choosy about what kind of health care they cut: consumers appeared to reduce consumption across a range of medical services, from low to high value. Take the example of a consumer who knows he/she is quite sick entering the year and expects to spend a lot on health care. That consumer should not worry about the deductible and cost sharing when making medical decisions early in the year because he/she knows that by the following January, all medical care used after passing the plan’s out-of-pocket limit will be free. Thus, the true marginal price of health care for this predictably sick consumer is close to $0, no matter how high the deductible is, so care consumed early in the year is essentially free as well. 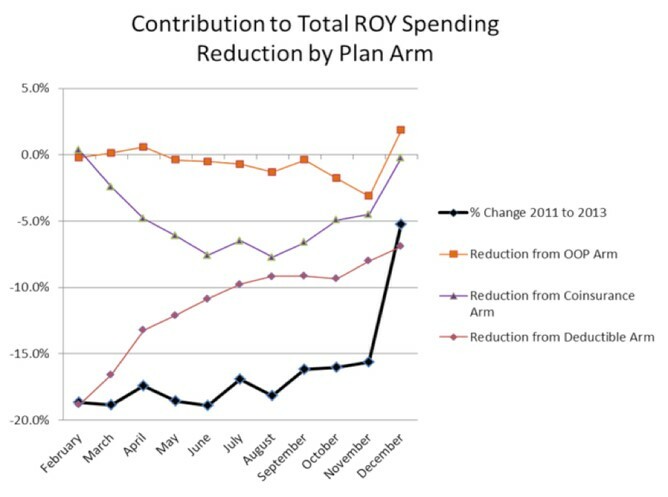 However, we found that these consumers substantially reduced spending early in the year when under the deductible, but once they passed it spent more. In other words, many consumers whose true marginal price for care throughout the year is essentially zero because of their impending high spending do not treat incremental care as free when under the deductible. Instead, they respond as if the price of care under the deductible is the relevant price, despite the fact that they will spend that money during the year regardless. This suggests that they misperceive their own health risks, misperceive how much medical care costs, or do not understand how the high-deductible insurance contract actually works. Similar consumer price misperceptions are also documented in Medicare Part D, electricity markets and broadband markets. 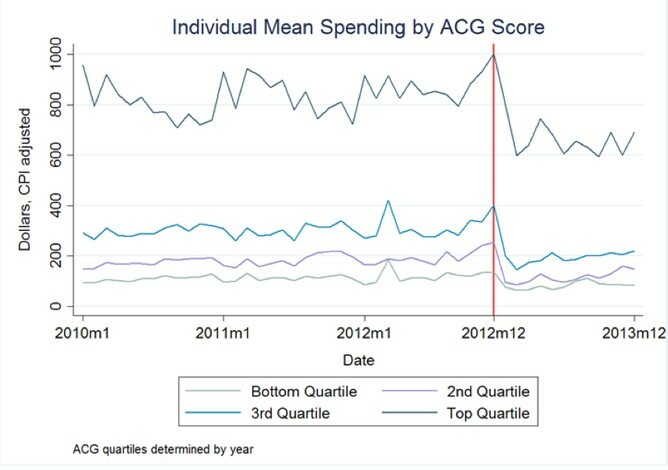 Thus, while increased consumer cost sharing can be an effective instrument for reducing health care spending, it may be a blunt instrument for encouraging higher value medical spending, especially relative to supply-side interventions that target physician incentives or interventions that reduce the use of high-cost low-value medical technologies.